What is the Best Colon Cancer Test? Colon cancer has a long-standing reputation as an “old person’s disease.” However, with colon cancer rates on the rise among 20 to 49-year-olds, colon cancer is no longer a disease relegated to later stages in life, but a risk for everyone—including YOU. It’s not just a matter of if you will need a colon cancer screening, but when in your life it will be necessary. has factors that put them at high risk, including a personal or family history of colon cancer or polyps or inflammatory bowel diseases. But which colon cancer screening method is best? What does the Best Really Mean? 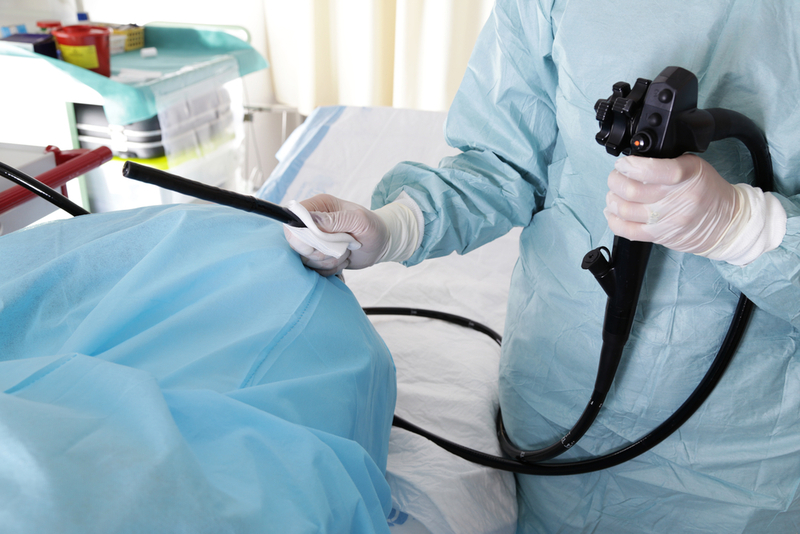 If you consider ‘best’ to be an accurate, thorough, and reliable screening method, then choose a colonoscopy. A colonoscopy can identify precancerous growths, colon cancer at all stages, and other digestive diseases. By choosing a fellowship-trained gastroenterologist with an above-average adenoma detection rate (ADR), and a surgery center with industry-leading AAAHC and CMS safety and quality certifications, you can be confident that your colonoscopy will be safe, accurate, and thorough. What’s the point of a screening method you can’t rely on? An at-home screening kit may seem like the ideal colon cancer screening method. After all, these screenings have a lower retail sticker price than a colonoscopy and can be completed in the comfort and convenience of your own bathroom. However, looking at the preceding data, accuracy and reliability are a significant sacrifice for a lower cost and greater convenience. And, you will still have to see a gastroenterologist if you get a positive result—meaning that low cost and convenience is obsolete. You will be paying out of pocket for a diagnostic colonoscopy and spending even more time tending to your colon health. Most insurance plans only cover one colon cancer screening per recommended frequency based on your medical history. If you need a follow-up to an at-home kit, be prepared to pay out of pocket. Screening colonoscopies are covered by the majority of health plans. Plus, by booking your procedure at an independent ambulatory surgery center rather than a hospital or hospital-affiliated center, you’ll usually pay far less – and be in and out within a few hours. The Best Colon Cancer Screening Method? One That Offers Prevention Too. A colon cancer screening method that offers you prevention against colon cancer as well as detection is ‘the best,’ right? Only one screening method can offer detection and prevention, and that’s a colonoscopy. During your colonoscopy, your gastroenterologist can remove any cancerous or precancerous growths, stopping colon cancer in its tracks. Look after your health by choosing the best colon cancer screening method. Choose an accurate, thorough, reliable, cost-effective, and convenient colonoscopy, offering you detection and prevention against colon cancer.